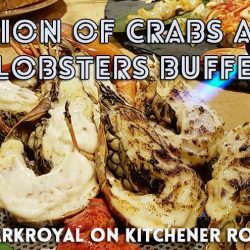 Great news for crab and lobster lovers, the highly popular Battle of the Crabs Buffet at ParkRoyal on Kitchener Road is now upgraded to the Union of Crabs and Lobsters Buffet! Now you can enjoy lobsters as well! Dun miss this Union of Crabs and Lobsters Buffet at ParkRoyal on Kitchener Road from 7 July till 3 September 2016! UOB, DBS & Maybank cardholders enjoy unbeatable savings at a special price of SGD118++ for two adults (U.P. S$78++ per adult). If you love to eat crabs, dun miss this Battle of the Crab Buffet at ParkRoyal on Kitchener Road from now till 31 March 2016! 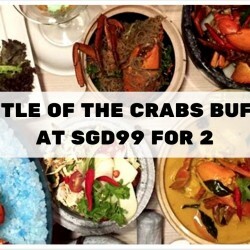 UOB, DBS & Maybank cardholders enjoy unbeatable savings at a special price of SGD99 for two adults.